Californians voted to deny EMTs and paramedics uninterrupted rest and meal breaks, passing Proposition 11 by 62 percent. The measure requires ambulance staff to remain on duty during breaks, keeping their radios and pagers turned on while they get coffee or lunch. "This means ambulances will continue to get to the public as fast as they have been," said Carol Meyer with McCormick Ambulance Service in Los Angeles. "It’s important for public safety." The debate over EMT breaks began in 2016, when the state Supreme Court decided private-sector security guards must be given uninterrupted breaks, essentially ruling that if an employee has to stay on call during a break, it’s not a break. Ambulance companies realized this was likely going to apply to their EMTs and they got worried. 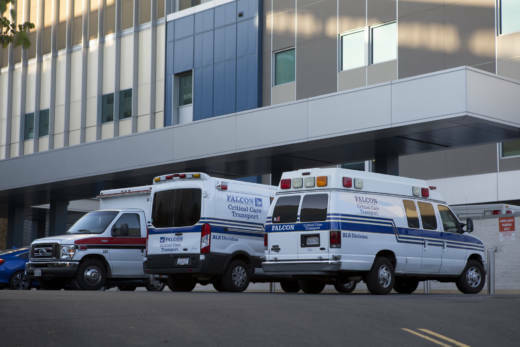 If ambulances go offline to take a break, companies were going to have to acquire more ambulances and hire more people to staff them to maintain the same emergency response times. This would have lead to a 25 percent increase in costs — $100 million a year across the state, according to the Legislative Analyst’s Office. That's partly why the ambulance industry invested close to $30 million in favor of Proposition 11. There was no money spent against the measure, but the union that represents paramedics, United EMS Workers, AFSCME Local 4911, was opposed. They worked in the Legislature to find a middle ground — a system where their breaks could be interrupted for the most urgent calls — a heart attack, or a kid choking — but where less urgent calls would get rerouted to the next closest ambulance. But when the union wouldn't agree to giving the companies retroactive immunity from lawsuits over violations of the break laws, these conversations were dropped, and the ambulance industry put Proposition 11 on the ballot. It includes a provision exempting employers from liability for violations of these laws dating back to Oct. 25, 2017. "I'm angry. This is not what the initiative process was meant to do," said Jason Brollini, executive director of the union and a paramedic for more than 20 years. But even if pending lawsuits get dismissed as a result of the measure, he adds, his focus will be on what paramedics do day to day. "We still have a need to care for the mental health of our providers, managing fatigue, managing stress, getting them to eat," he said. "We need to find ways to address that within the confines of the law."